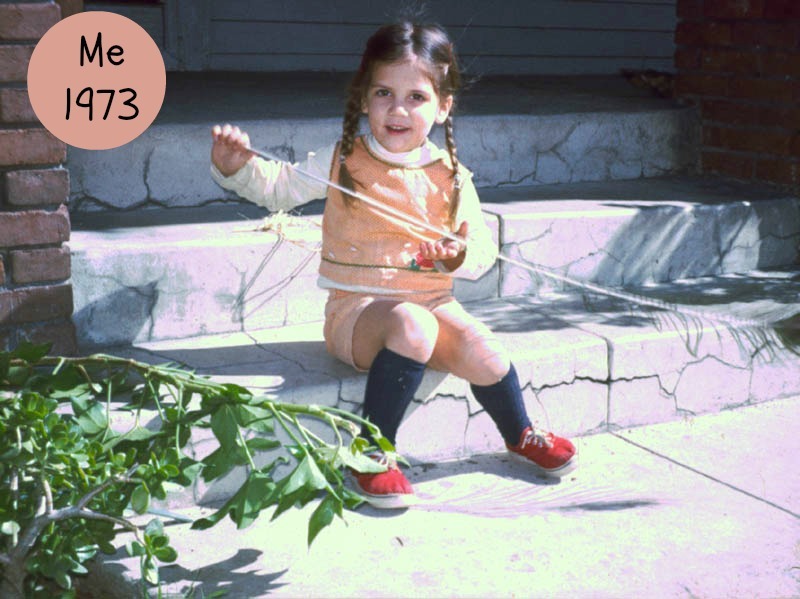 Hello and welcome to the March edition of When we were young - an ongoing series sharing sewing mums' creations for their children inspired by outfits from their childhood. You can read all the past posts here. 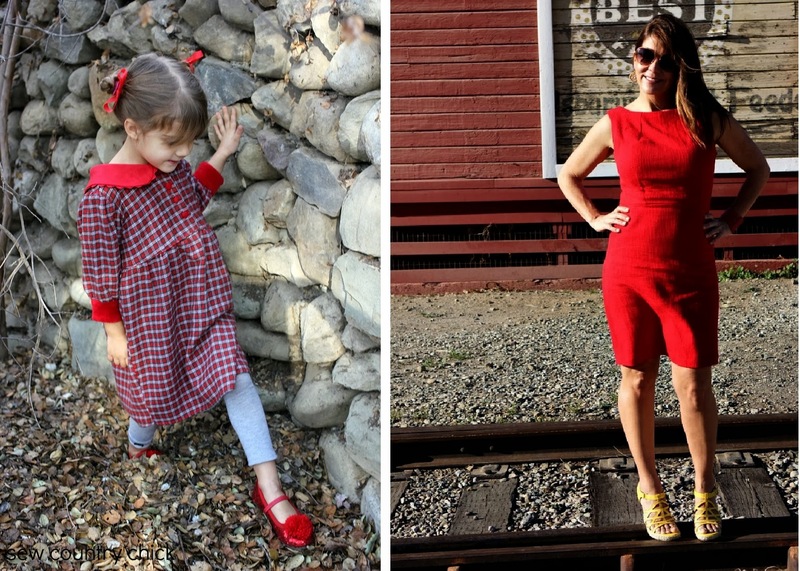 Today's guest is the super talented Justine from Sew, Country Chick! Justine has five children and sews for some of them as well as herself. She does some awesome refashions and is a part time costume designer too. She also loves vintage sewing and design. Justine is one talented lady!! That's me and my dad and my brother . 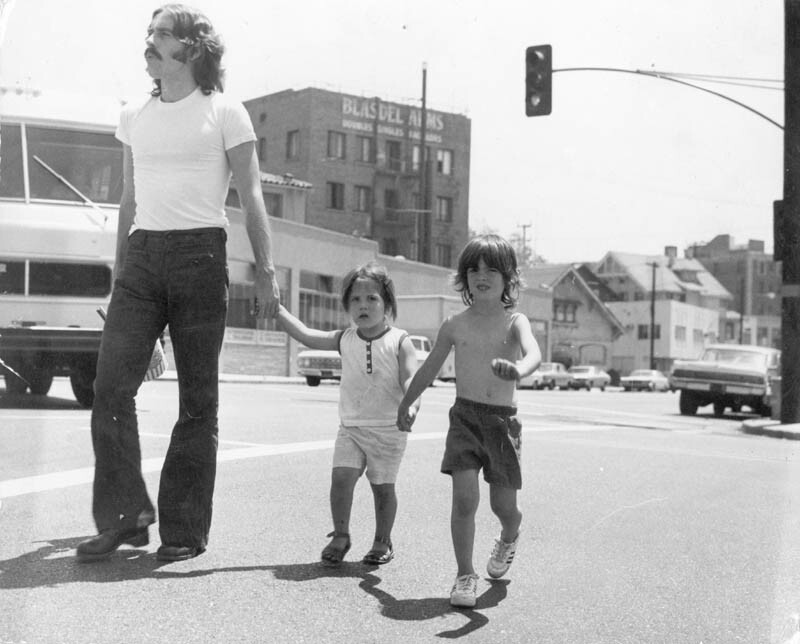 I grew up in Hollywood, a neighborhood in Los Angeles, back in the seventies when Los Angeles had little traffic, real estate was cheap, and Hollywood was still very rough around the edges. Some might even say it was downright seedy. But I was happy. My mom didn't know how to drive and she took us places on the city bus. We used to go to MacArthur park for picnics. We lived on a little street just off of Sunset & Vine in a rented bungalow that was once lived in by the old film star, Jackie Cooper, when he was just starting out. All the kids played out in the street and we were pretty much left to our own devices. The overprotective, hovering parents of today were nowhere in sight. Moms kept a watchful eye out the window, but they mostly just left us to play outside all day in a neighborhood many would raise their eyebrows at today. My dad was just starting work at the movie studios and when my mom had me, his boss, a producer, gave him lots of his own kids' hand me downs for me to wear. His name was Danny Thomas. 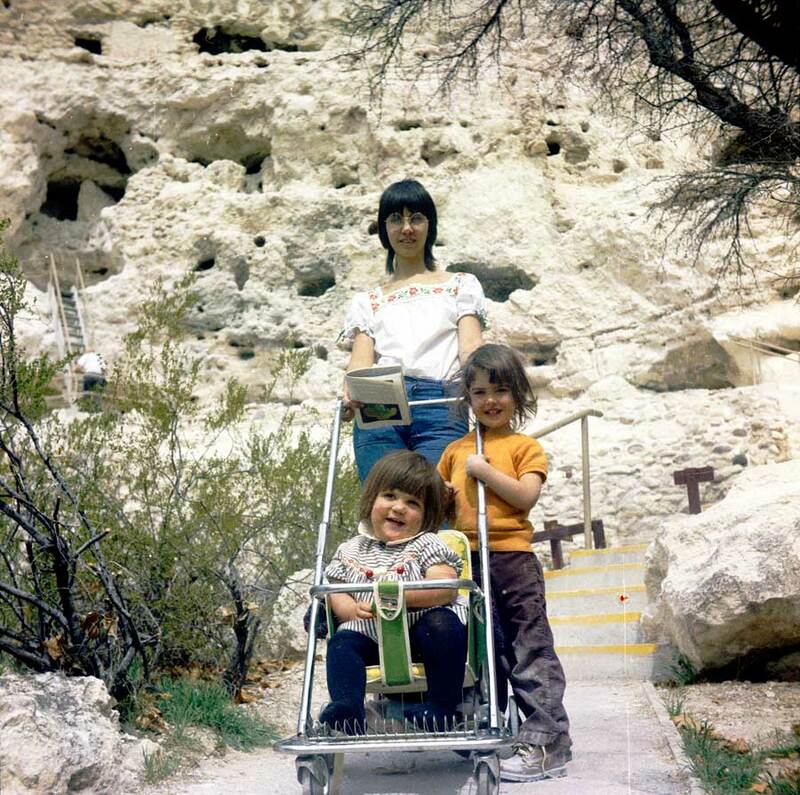 See that chubby one in the stroller? That's me. Yeah, I was a big baby! The cute angelic one on the right? My brother! My mom was a hippie who had come to LA via San Francisco via Seattle where she had left the day she graduated high school. My dad was a young photographer who had hitchhiked out west from New York city to find adventure. He ended up meeting my mom on a beach in Venice, and then came my brother and me. Typical LA story. So here is the outfit I was inspired by that my dad scanned and sent to me. I love little matching shorts suits for children so it was perfect. And here is the outfit I made Gigi. I was surprised that I didn't have the exact same color in my piles of hoarded fabric as my outfit in the photo. I did have one, but it was going to be too lightweight for shorts. I work as a costume designer part time, and everyone I know whose grandmother dies seems to call me when they need to get rid of fabric. 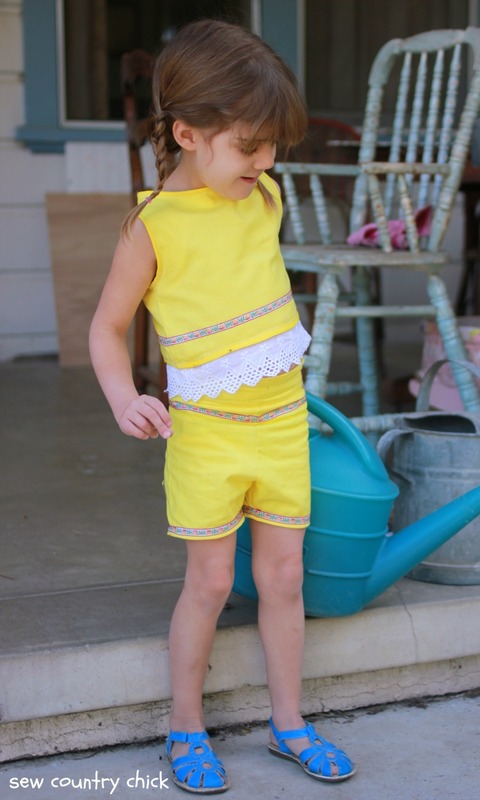 I loved this bright yellow cotton, which was most likely vintage, so I decided to make a brighter version of my shorts outfit. A modern version of me! I was going to go out and get some black knee highs and red sneakers, but as usual, I was running up against the last minute, and these little blue sandals are just so cute. I drafted the pattern myself. It's really a simple design and was very quick to draw up. I used the instructions for making a basic block from the book Metric Pattern Cutting For Kids. I LOVE that book. Although the drawings of kids with plain, white eyeballs in it are quite creepy. I probably could have added more ease to the patterns, but I wanted them to be fitting. I remember my clothes being fitted as a child. 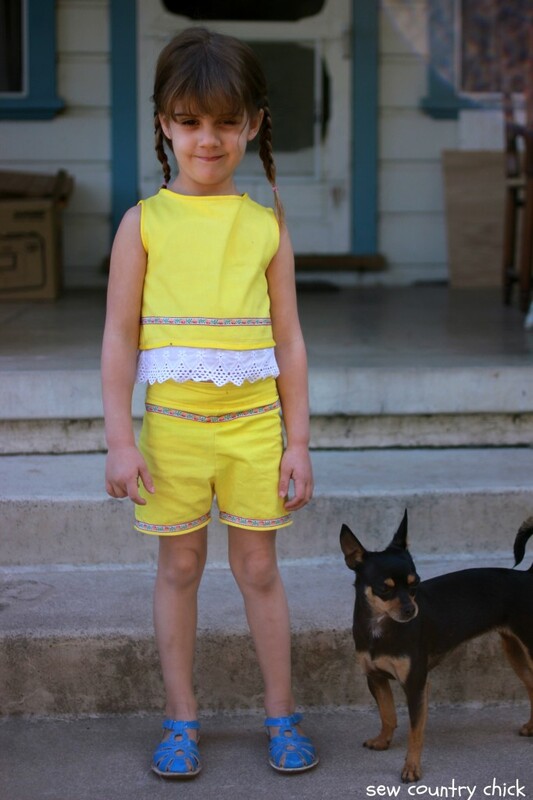 Shorter tops and high waisted shorts were popular for kids in the sixties and into the early seventies. 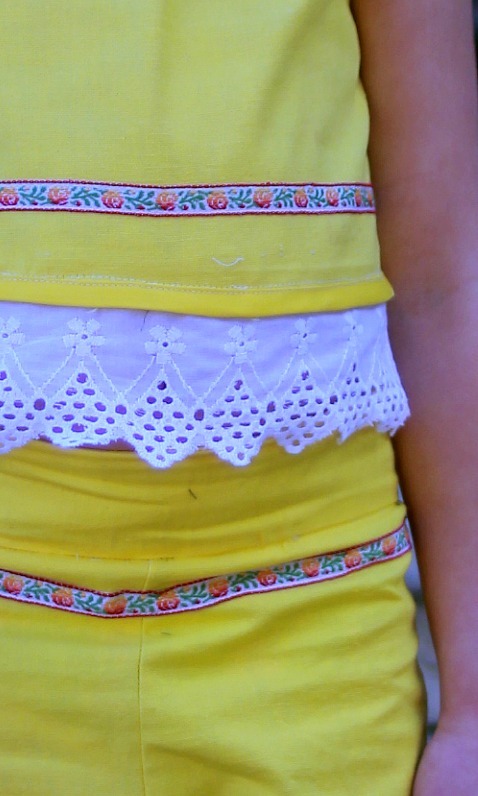 With the crop top being a big trend for spring, I thought it would be fun to make one for kids. Of course, if I was going to make a crop top, I would have to make high waisted shorts too, right? Right! I made a wide waistband and inserted some elastic. As you can see, she's straight as a beanpole so these shorts don't even need a zipper! I made a facing for the neckline and for the button tab in back, even though I used bias tape. That was overdoing it. It was one of those projects that I just sort of started making without a very clear plan, and let it take shape as it went. 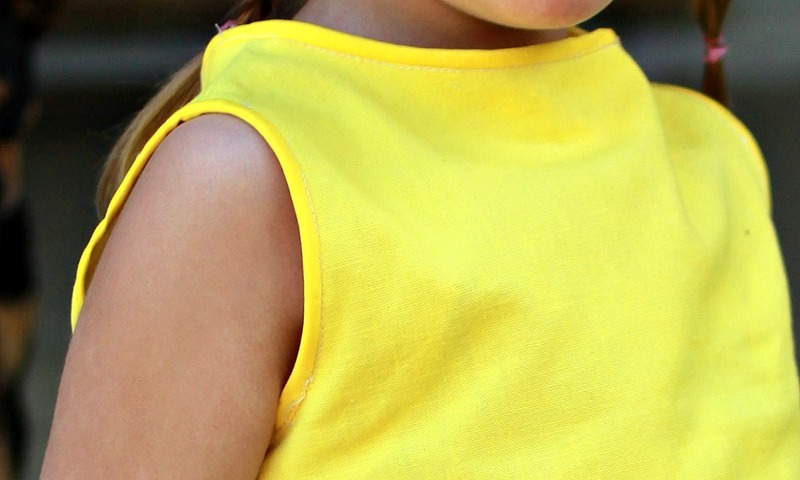 And I may have made that top just a wee bit too short, so I added the eyelet trim. I would have added the cute red trim around the neckline too, but sadly I was just short a few inches! I trimmed the neckline with bias tape, instead. I'm trying to use up the many trims I have collected in my travels and in my thrift shopping. I also live an hour from the downtown LA fabric district, were everything is so cheap! I have a good amount of fabrics and trims to choose from. Well, it's been fun coming over here to share my outfit with you. Thank you for having me, Suz! And happy sewing! Thanks so much Justine! 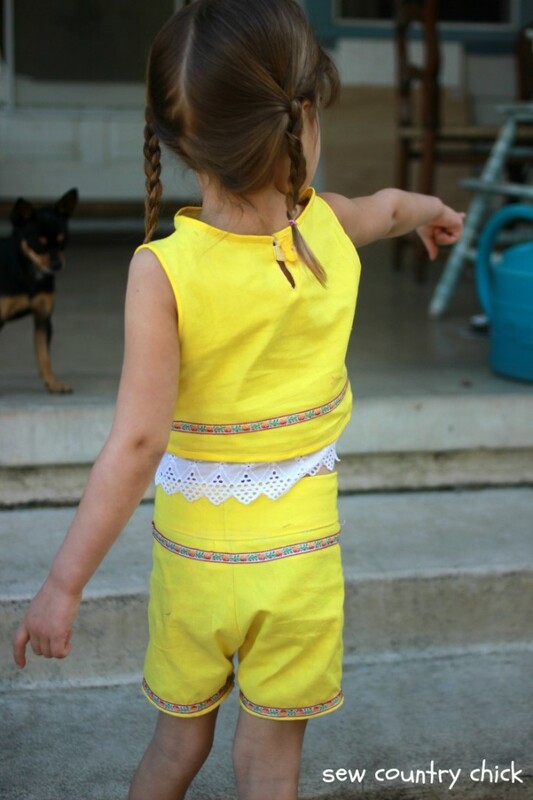 I love these photos and your stories and also this little lemon outfit. Gigi is so cute and looks a lot like you did when you were young!! How fun. You two look so alike! Thanks for taking part justine. 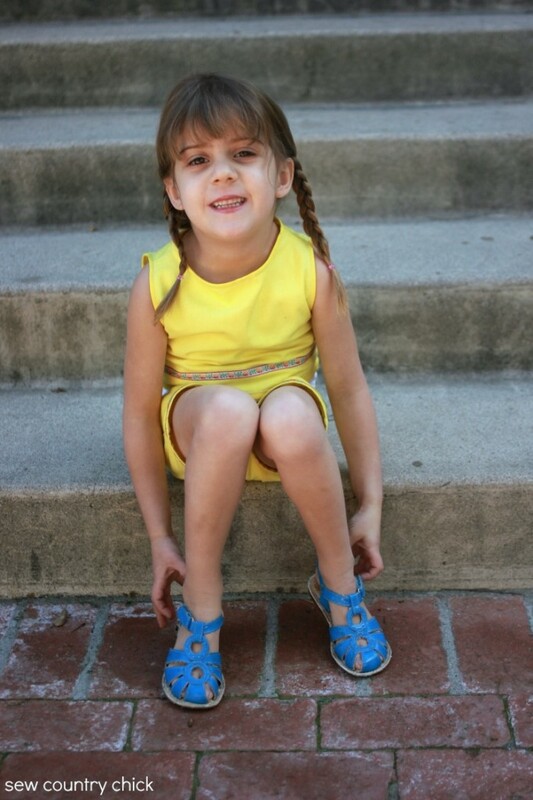 I just love the old pics and your daughter is adorable! Justine, this is so adorable! And I cannot believe how much you look like your younger self. Uncanny! Ah, I love the back story Justine! Love on Venice Beach... And I can't believe the resemblance between you and your sweetie! Amazing! 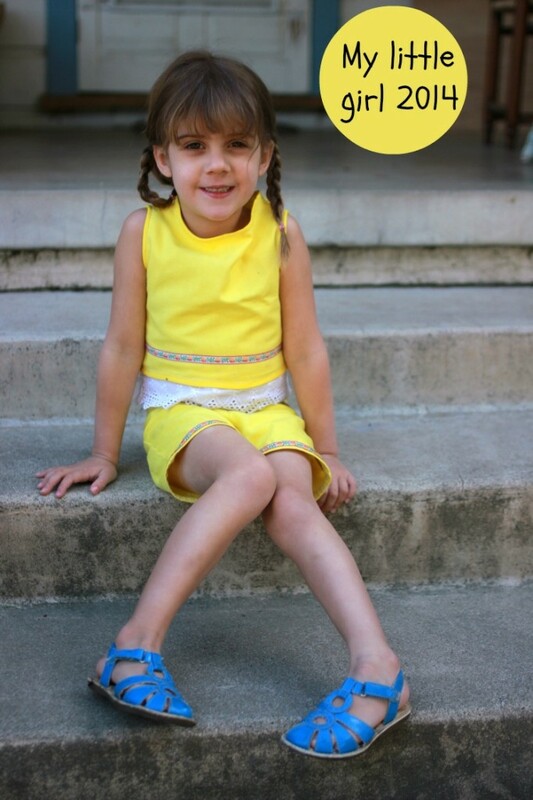 Very sweet outfit... love the yellow! Loved reading about how your parents met Justine :) Your little girl is a copy of you :) And the outfit is gorgeous. I have the same trim - I remember playing with it as a young girl. Justine, I totally enjoyed reading your post.. Gigi's outfit is so cute on her, and I was amazed at how much you two look alike.Two pretty girls..